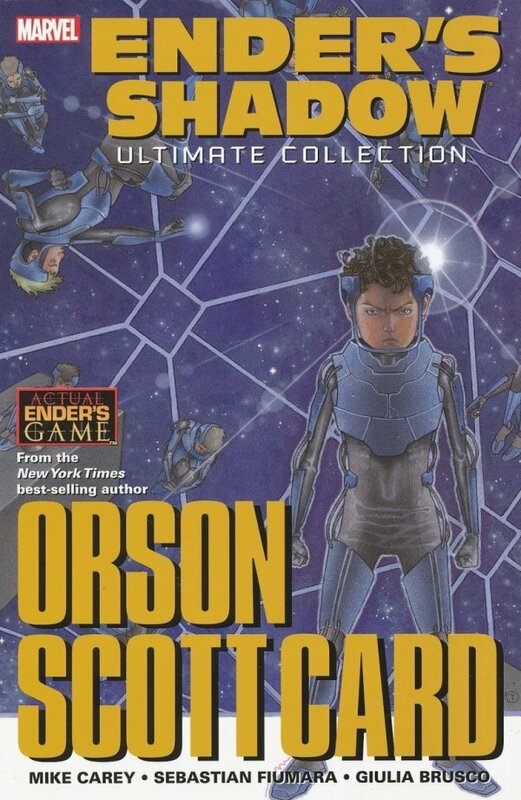 Adapting sci-fi legend Orson Scott Card's classic novel! The alien Formics twice attacked the human race. We barely won. Now, the International Fleet is drafting brilliant kids to train them to command our forces in the next war. And from the teeming legions of unwanted children, Sister Carlotta has plucked a promising candidate: Bean, with a staggering brilliance as unexplainable as his mysterious origins. 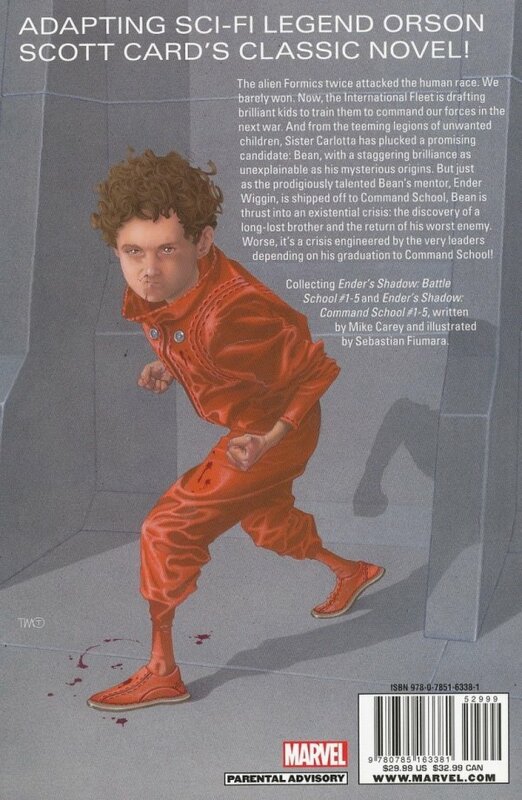 But just as the prodigiously talented Bean's mentor, ender Wiggin, is shipped off to Command School, Bean is thrust into an existential crisis: the discovery of a long-lost brother and the return of his worst enemy. Worse, it's a crisis engineered by the very leaders depending on his graduation to Command School! Collecting ENDER'S SHADOW: BATTLE SCHOOL #1-5 and ENDER'S SHADOW: COMMAND SCHOOL #1-5.